They like what I do on Twitter mainly because its all about them, Breakwell told Buzzfeed. On one hand, Twitter makes me a better father because I spend more time with my kids. On the other hand, Twitter makes me a much worse father because I only do it to get more material. 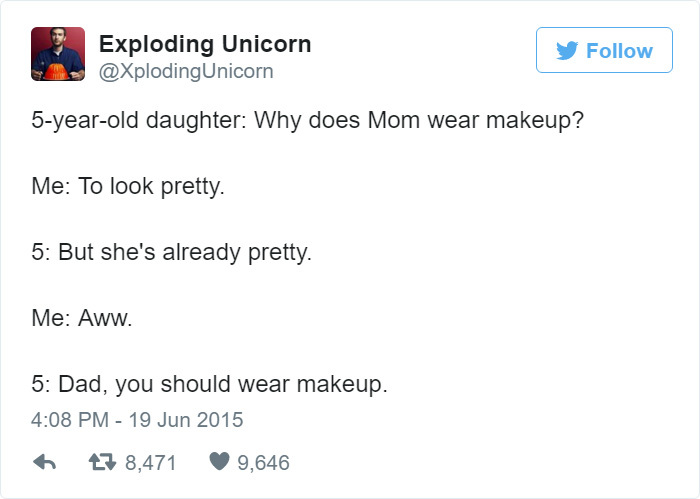 Follow the link if you want to see 20+ more hilarious tweets that parents can relate to!